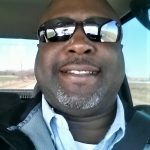 Lester Eugene Thomas, 52, of Granbury passed away on Saturday, March 9, 2019. Service: 1:00 PM, Saturday, March 16, 2019, Waples Baptist Church, Interment: Holly Hills Memorial Park, Visitation: 6:00 PM -8:00 PM, Friday, March 15, 2019, Wiley Funeral Funeral Home, Granbury. Lester was born on November 7, 1966 in Hearne, Texas. He married Vertasha Barnes on September 10, 2017 in Granbury, Texas. Lester is survived by his wife: Vertasha Thomas, mother: Virginia Ewing and husband Nathan, dad: Eddie Stephens and wife Linda, children: Alonté Thomas, Antione Simmons, Tydrick Williams, Malik Thomas, Kemauri Bynaum, Mercedez Hammond, and Zoria Goldsby, siblings: Eddy Johnson-Pinky and husband James, Ericka Williams and husband Charles, Katrina Bynaum and husband Xavier, Mary McGrew and husband Lloyd, Charles Bynaum and wife Frances, Richard Bynaum and wife Tiffany, Vincent Bynaum, and Shane Ewing and wife Paige, and a host of aunts, uncles, nephews and nieces. You were such an inspiration to your siblings and family. Thank you for accepting me as your other Mom & I'm so proud & honored to call you son ! To Mr. Thomas’ loved ones, I’m so sorry for your loss. I can only imagine how you must feel. I have found comfort in scriptures like Job 14:14,15 which remind me that God cares so deeply for us that he yearns for the day when he will bring us back to life on earth (John 5:28, 29). These words fill me with the hope of seeing again the ones that I have lost. I hope that these words bring you comfort as well. Lester Thomas as I knew him, was a Man who "walked with GOD", from the very first moment of our friendship he spoke of GOD. When I would ask him how he was doing, he always turned that question around to asking me, how I was doing. He cared more about others, than himself. His intimate relationship with GOD revealed to all of us a precious way that he had learned to pray. He called God's Son....."Your Darling Son-JESUS" What a great title, one I will never forget. GOD had taught Lester to pray. Then Lester taught us. When I asked him what he wanted to do with his life, without hesitating Lester said: "I want to be a prayer warrior, talking with GOD about everything in this life and the one to come." I learned much from this man, especially how to be better at praying. GOD blessed us with Lester Thomas for a short time, but we all are better for having known him. His Heavenly FATHER is pleased with Lester's life, and his earthly family should know what an impact that Lester made on all of us. His spiritual legacy will last for a life time, and then beyond.